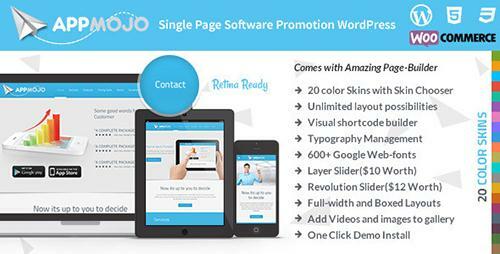 ThemeForest - App Mojo v2.6 - Responsive Single Page Promotion Theme - 5847935 | Free eBooks Download - EBOOKEE! Responsive WordPress Theme to Promote your iPhone, Android, Windows Mobile App or Desktop App and to Create Landing Pages with Woo-Commerce and WPML Compatibility! No comments for "ThemeForest - App Mojo v2.6 - Responsive Single Page Promotion Theme - 5847935".